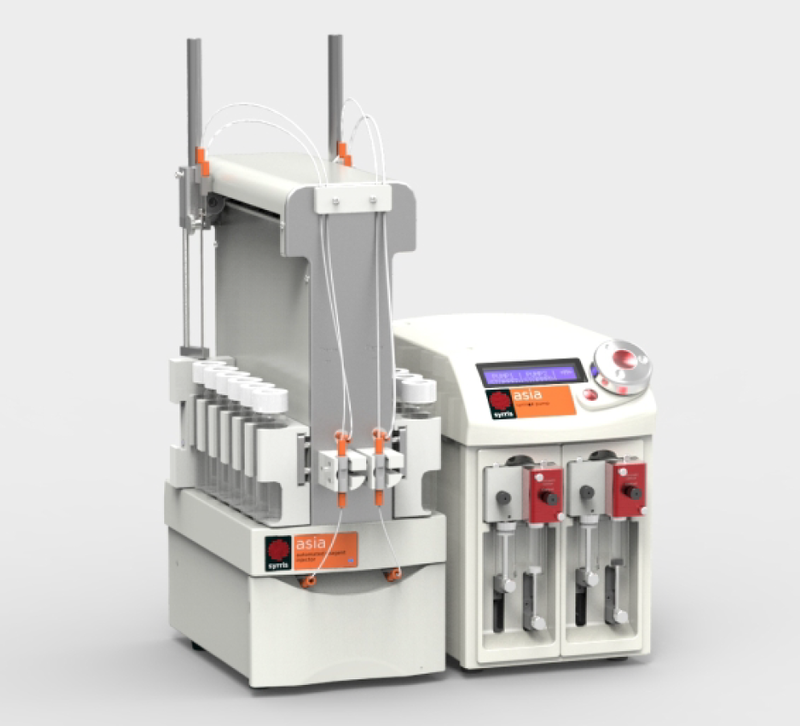 Driven by the Asia Syringe Pump module, the compact Asia Automated Reagent Injector offers high performance, fully automated sample injection via two independent channels, allowing complex matrixed libraries to be synthesised. Gas blanketing provides the inert sampling conditions required for safe handling of air and moisture sensitive reagents and, with sample pre-pressurisation up to 20 bar, dispersion and pressure drops during reactions can be avoided, enabling even very small volumes to be injected. For maximum flexibility, sample loops from 0.1 to 10 ml are available, as well as a selection of removable racks for 2, 8 and 40 ml vials. Complete process automation is provided by connection to the Asia Manager PC Software, enabling sophisticated multiple sample injections and experiments to be performed, including key applications such as synthetic library generation, reagent screening, reaction optimisation, kinetic and degradation studies, and LogD screening.